With the establishment of the DEI Innovation fund, supported by the Office of Diversity, Equity and Inclusion, these grants aim to support faculty, staff and student projects that advance an innovative approach to DEI opportunities and challenges at the University of Michigan. This opportunity supports both projects that have already been implemented and are looking to expand, or those seeking to fund long-term, transformative change. 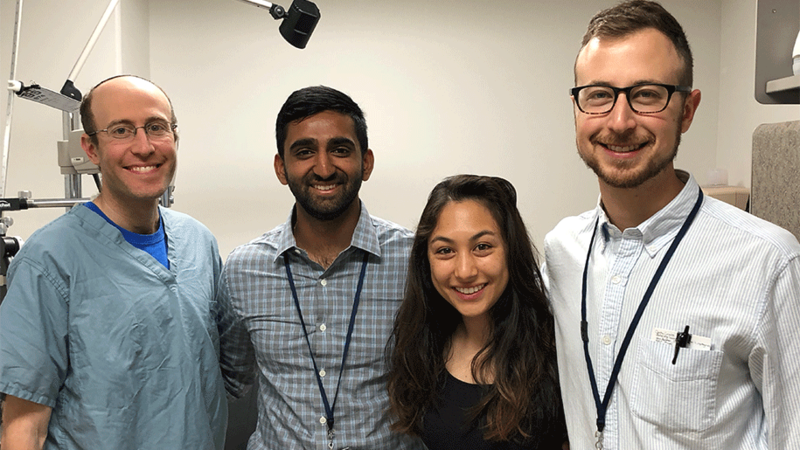 A more recent initiative, the Mentorship-led Pipeline Program Between the U-M Medical School and Kellogg Eye Center, is driven to address minority representation in ophthalmology, and to develop a more diverse pool of applicants for residency programs. Through the mentorship program, the goal of increasing the level of diversity among ophthalmologists aims to better represent the patient populations they serve and help reduce inequalities in vision care. The program includes cores areas of support, such as recruitment, mentorship, surgical simulation, and networking, all which are made possible with the assistance of the DEI Innovation Grant fund. The Gender Consciousness Project (GCP): Girls Learn Resistance to Gender Injustice Starting in High School, is a faculty-led initiative that aims to cultivate long-lasting, cultural change. Established in 2000, GCP is a grassroots program that develops awareness surrounding the complexities of gender discrimination. The program recently completed its second year impacting high school-aged young women in Ypsilanti, Belleville and Ann Arbor. “What we do is try to get the girls [to] not really look at the injustices, but how they participate in the injustices themselves,” says Nesha Haniff, PhD, principal investigator for GCP. The program also addresses issues of race, religion and ethnicity, all of which Haniff says must be part of the conversation when addressing gender injustice. 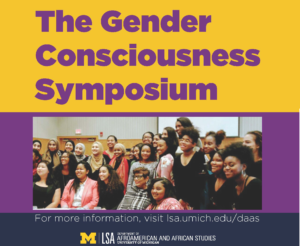 GCP students attending U-M continue their involvement with the program as engaged learning interns through the Department of Afroamerican and African Studies (DAAS) in the School of Literature, Science and Arts (LSA). As an ongoing program, continuing support is essential. Another ongoing initiative receiving Innovation Grant funding support is the Prison Creative Arts Project (PCAP). Founded nearly three decades ago, PCAP brings those impacted by the justice system and the University of Michigan community into artistic collaboration for mutual learning and growth. The program reaches thousands of people each year through five undergraduate courses and weekly creative arts workshops in 16 prisons and youth detention and treatment centers. In addition, an annual literary journal, arts program for individuals being released from prison, and a theatre exchange program with two universities in Brazil makes up core components of the project. 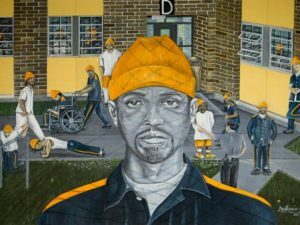 A cornerstone of the initiative, the Annual Exhibition of Art by Michigan Prisoners, now in its 24th year, is one of the largest exhibits of its kind in the world. It brings the work of nearly 600 artists to the Duderstadt Gallery for a two-week show. Vanessa Mayesky, Associate Director of the Prison Creative Arts Project, has witnessed the positive impact of PCAP. While the program has been a staple of LSA for nearly 30 years, the DEI Innovation Grant, which funded a new curatorial direction for the Annual Exhibition at a pivotal time for PCAP, was essential as two tenured faculty curators retired. The impact of the new curation approach can be experienced March 20 – April 3 at the PCAP 24th Annual Exhibition of Art by Michigan Prisoners. To learn more about DEI Innovation Grant opportunities, visit myumi.ch/LBY58.